Hello there everyone! Welcome to the January Inspiration Challenge Winner Announcement! We really want to thank each and everyone of you that took time to create such wonderful cards for this challenge. We loved gazing at all of the gorgeous designs you all come up with, thank you again for sharing your talents with us. How amazing is Karen’s colouring?!?! 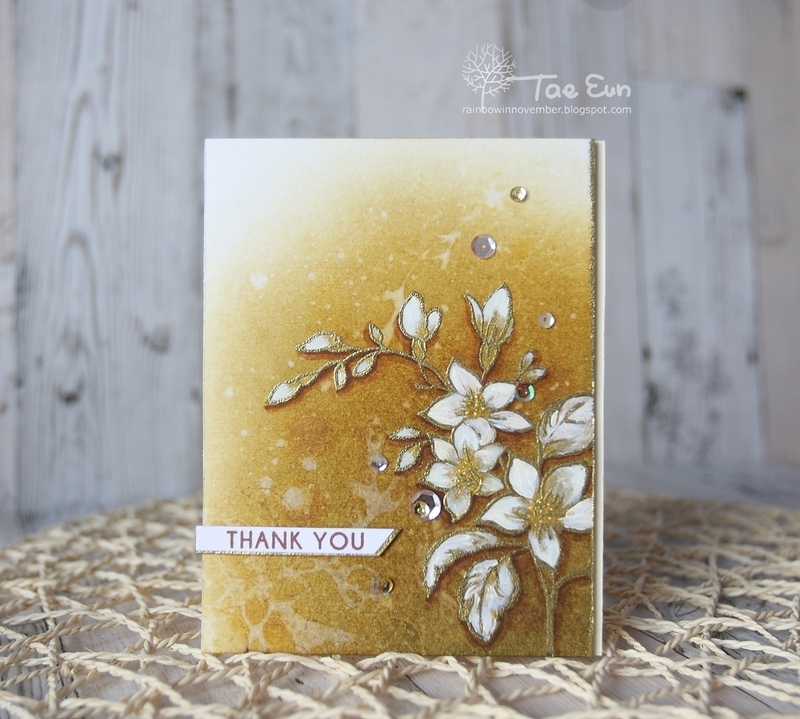 We absolutely loved her gorgeous colouring on the kraft cardstock and the white splatter finish this card to perfection! We were amazed by the realistic look to Tae Eun’s flowers just using white and gold. Also the background with the marbled ink bleaching is so pretty. 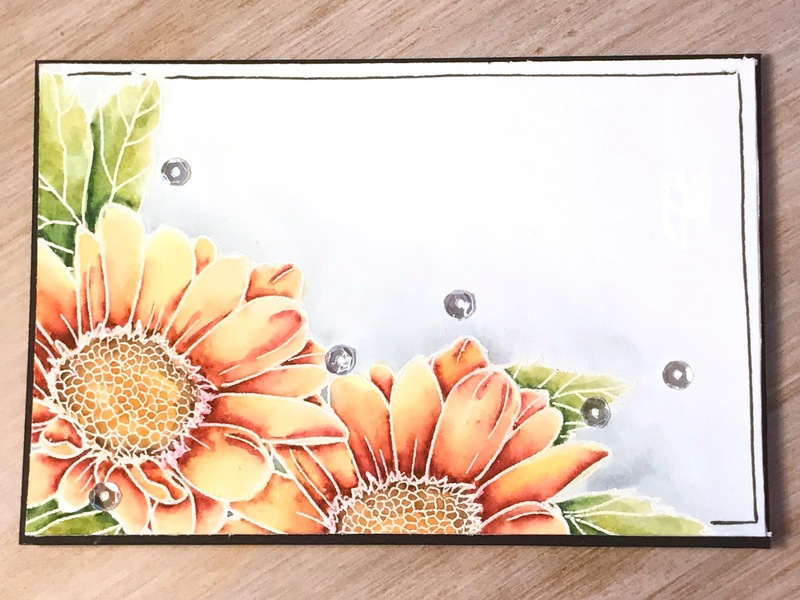 We just love layout of Kassi’s beautiful bouquet card. 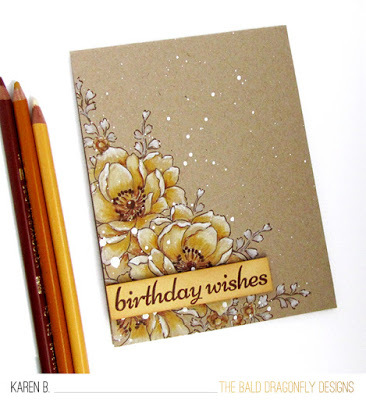 The use of subtle colours and faded background makes a seriously stunning and classy card! Oh and her colouring is amazing! Hannelie created such a pretty clean and simple design. 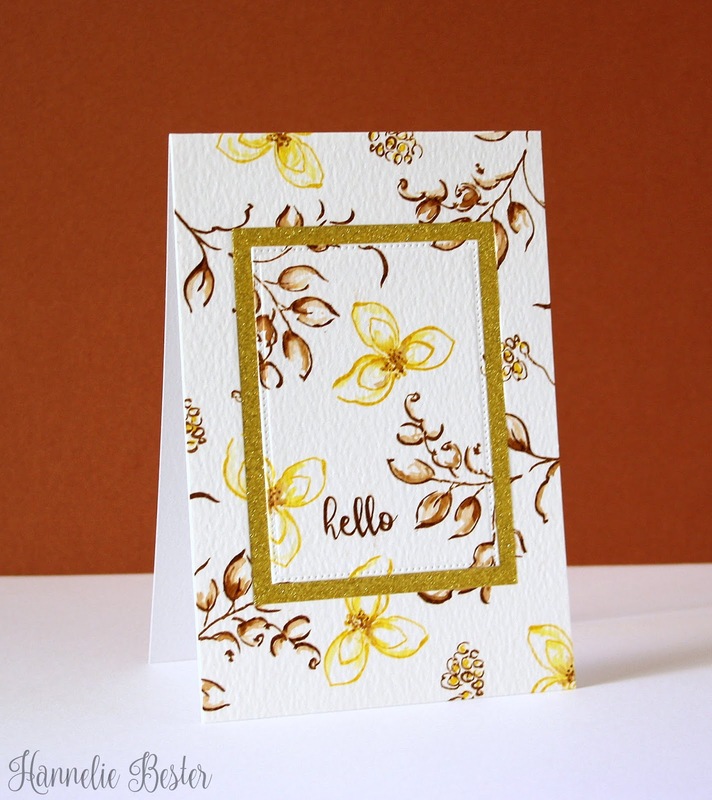 We loved the bright and clean feel of the background, also the touch of gold finishes it off beautifully. Thank you to all those who joined! Our February Inspiration Challenge is in full swing – we hope to see more of your projects there! Wow!! Absolutely stunning line up of cards.Congrats to all winners..So well deserved. These are STUNNING! Congrats to all of the winners! Wow! Thank you so much for the honor! Congratulations to all winners! Congratulations to the winner. They are all perfectly amazing. Congratulation to these incredible card designers. These cards are so inspiring. Thank you so much Altenew! Love your stamps! Congrats to my fellow designers! Congratulations to all of your “very deserving” winners! Just beautiful work! Congrats to all, they are wonderful cards! Thanks for all you do and share!!! Wow congratulations. all of those cards are beautiful. Thanks for sharing and love the image. Stunning cards by all. Congratulations! !